after you have suffered a little while, perfect, establish, strengthen, and settle you. Our destination is secure. 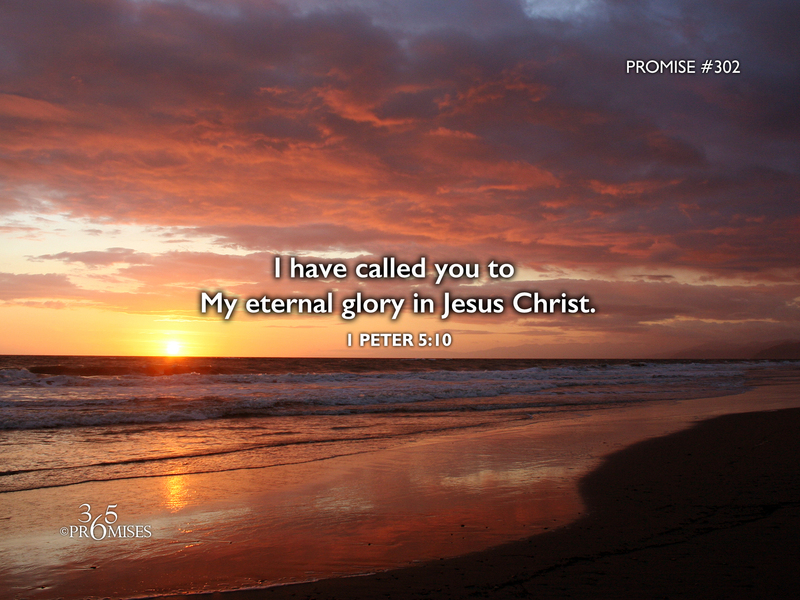 We are called to God's eternal glory, centered in Jesus Christ our Lord. No matter what life throws at us. No matter how uncertain the future gets, this is the bedrock of our hope. Eternal, unending, everlasting glory. No more pain. No more sickness. No more heartache. Just the weighty presence of our God and Father and our Lord Jesus Christ. The NIV version of 1 Peter 5:10 says it this way... And the God of all grace, who called you to his eternal glory in Christ, after you have suffered a little while, will himself restore you and make you strong, firm and steadfast. You will notice that this verse does talk about suffering because suffering is a consequence of the fallen world that we live in. Though we may suffer now, we can take great comfort in knowing that our future is secure. We can set our hearts at rest knowing that the God of all grace will restore us, make us strong and be steadfast as we continue to walk towards the eternal glory that soon awaits us.